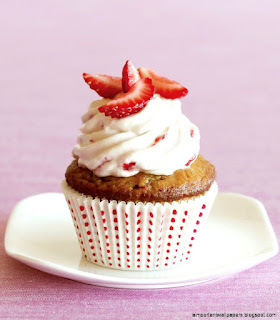 I'm so glad i got the whole entire cupcake. & just all the works. This Sunday was especially great. I got asked to be on a panel at church in another ward for a young women's & young mens combined class. There was five of us on the panel and we were the "marriage experts" for the youth. I represented the newly-weds and then the rest of the panel ranged up in age and marriage duration the last panel member being a cute old man at the end that had been married for 60-something years. It was so fun to be apart of the panel and hear the dating and marriage perspectives through the different generations and the stories and wisdoms. The youth came up with the questions the week before. It was weird to think it wasn't too long ago I was in those same chairs and every other lesson was on dating and marriage. 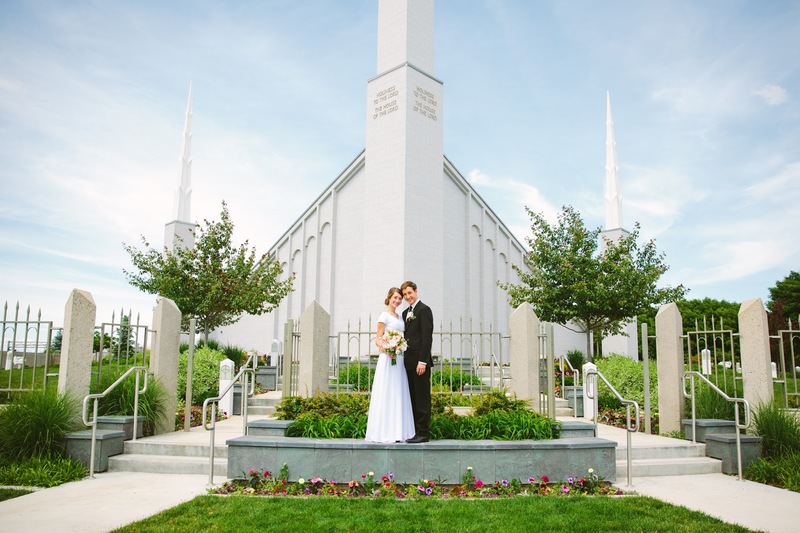 Looking back those years as a youth I now feel so lucky that I made it to the temple... That all those marriage and temple lessons have become reality and that the list I made when i was fourteen years old of attributes I want in a spouse have been met and surpassed. I loved being apart of the panel and feeling the spirit and seeing how far are marriage can go and how far I have come from being that youth in those chairs. It was neat to hear also from the panel how Heavenly Father was such a huge part of the dating and marriage process for each person. 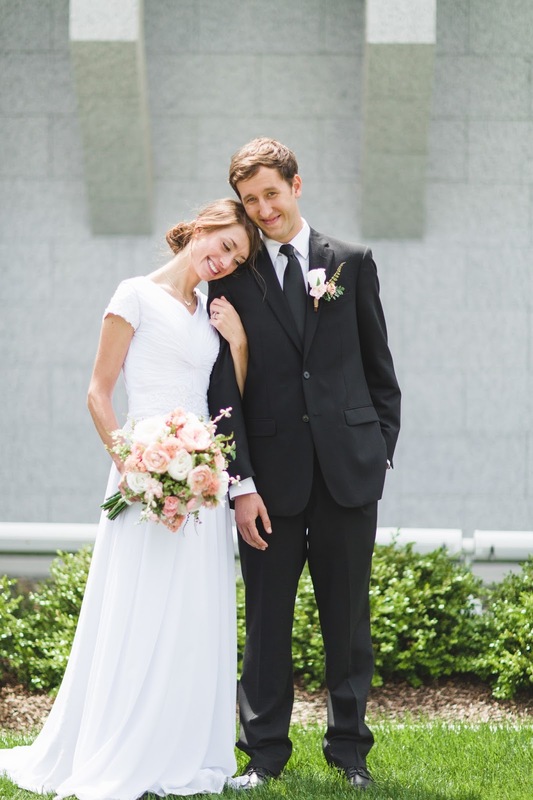 And how, if we let him, he will guide our lives and marriages forward as we focus and commit ourselves to live the gospel and be united together as a couple with Him in all we do and in our daily decisions. sweetness and sugah that are so dang good. Yesterday was an especially long day of work for me. My shift started at 6:45am in kaaawa and Pu'uwai was on high alert for seizures. He was feeling extra aggressive and was pretty difficult to handle. He got a lot of good slaps in and had several mini seizures where his lips turn purple and he stops breathing and zones out. He had a bad body drop too where his body just went limp and I carried this fourteen year old to the soft carpet and waited for him to start seizing, he didn't though, thank goodness. So, I went home tired and overwhelmed and sore from pu'uwai. When I got home, Riley was there and just made everything throughout the day dissolve. We made chicken tacos together, which was fun, and started the laundry that has been procrasted for the last couple weeks. He went off to the beach after with his twin brothers, he invited me but I was cleaning up dinner and didnt quite feel up to it after the long day. After dishes were done, I sat down waiting to switch over the laundry and regretting not going to the beach with them. I put on music and scrolled aimlessly through Facebook updates. 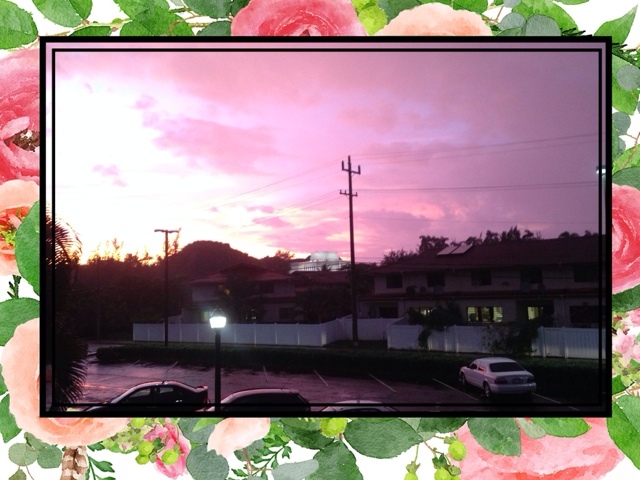 My eyes shifted from the laptop screen to the apartment window and the sky was glowing from the sunset. It was beautiful. I decided to go out and take a picture and get a better look. As I left our front door, Riley was speed walking up to get me to look at the sky. He left early because the waves were flat and dirty from the flash flood rains. We stood on our second story apartment walk way for a few minutes and watched the painted sky glow around us and temple in the background. It was a perfect close to the day. Today makes 3 months of being married!! We got church callings last week and today we had to give sacrament church talks. . . Not exactly how I would choose to celebrate the day, but it was so good after my talk was over though and hearing Riley speak and bear testimony. Also, this weekend we got to go to two sealings of our friends in the Laie temple. My friend Jared Nielsen, from the mainland, and his wife got sealed and also our good friend Aaron Zakimi too!! It was so good to be in the sealing room and witness those events! Especially, being married so recent... it made them really great and made me love the temple and ordinances preformed and my choice especially too. Lastly, we had a lot of friends around and family. Christie (one of my good BFs) came to hawaii and we spend some good time together and it made me grateful for so many good people I know and have met here at school. 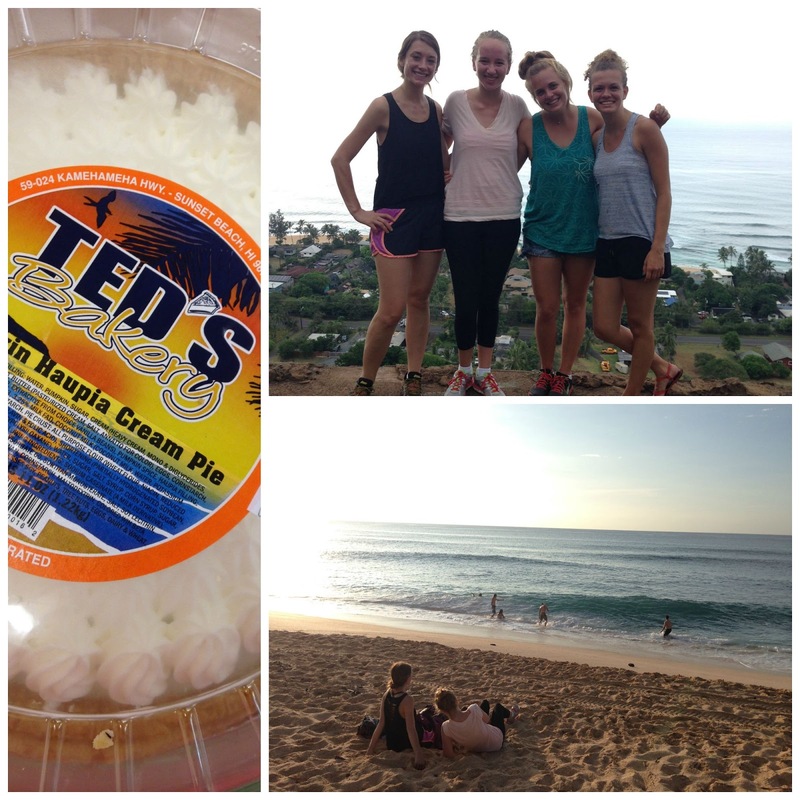 We went hiking above sunset beach and had some fun talks and game nights, and ate "Teds" famous pie. I talked to my sister-in-law Nicole too this weekend for over an hour at pipeline beach and I just love her a ton. It was a good bonding experience for me and made me reflect back to freshman year of college and not really knowing anyone and having to make friends and how hard it is to figure out what to major in, and boys, friends, insecurities, what to cook and eat, and being away from home and all that stuff. Glad its over and on a different stage of life. 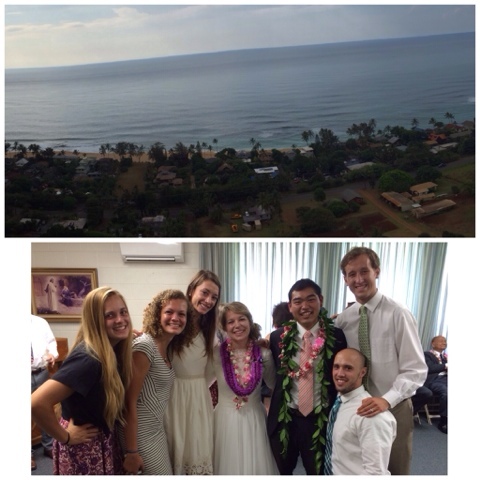 Really grateful i have such good hawaii friends and family here and the gospel too. Yesterday my nana called to check up on me and just say hello. It's been a few months since we talked last... She asked me how married life is and what our favorite things to do is. I went on for awhile talking about how much I love being married and work. The very first thing that came into my head when she asked what's some of our favorite things to do... was sleep. It sounded kinda dumb/lame coming out of my mouth first, and I quickly had to follow it and come up with some other fun things we love to do.... But I really do love sleeping next to him. It's one of my favorite things. When we dated, we would be out as late as possible. Going to bed after midnight was completely normally and if we were in bed by midnight it was actually early and a miracle. Our bedtimes have changed dramatically though being married. It's so nice going to bed early and waking up early and not feeling completely drained all day running on no sleep. We are normally in bed around the 9-o-clocks and read some scriptures together and then plug in our speakers to the laptop and watch some Harry Potter in bed. We have been doing a movie marathon, watching parts of the movies each night, normally around a half hour segments....sometimes less... sometimes more if it's really intense and good. So basically I'm just journaling about how we are turning into old people and love going to bed early and can't make it through an entire movie without falling asleep... Married life is awesome. But seriously, it's so fun sleeping together and waking up next to each other. When we are under the covers and he holds me I feel peace and feel safe and the whole world is silent. Life is good married and sharing it with someone. Last night, in the middle of the night... I got soo thirsty and was kinda half awake. Riley rolled over and saw me awake and asked in his sleepy voice if I was cold and okay. I said just thirsty but was too lazy to get out of bed. He got up without a hesitation and got me and drink and then proceeded to pull up the blanket that had moved to the floor and pull it up over me and crawled in next to me close, and then he kissed my forehead and we went back to sleep. I love these moments and being married to Riley. I'm coming to realize that the older I get, the faster time seems to go. As a kid, hours were full of minutes with limitless possibilities and activities. The gap between summer and snow seemed to be an eternity and birthdays couldn't come fast enough. I'm not sure why aging has had this effect or if it's just me, but holidays come and go so fast and I need more hours each day to finish the endless list of to-dos. I know it is said that "time flies when you are having fun." But as I age, time flies whether I'm having fun or not. Life just continues to move forward with no pause button or rewind. Each year that passes, especially on my birthday, I think back on my Grandpa Lionel that passed away on my eleventh birthday. I know it was a bitter sweet day. I remember him being very sick and weak before his death as cancer was taking over his body and we knew his time on earth was coming to an end. My Grandma previously asked him not to pass on the third of July, as it was my birthday as well as some other events but as the morning came she said it was okay and he left his mortal frame. Even at my young age, or maybe because I was young.... Him dying on my birthday wasn't really too sad or hard, but actually pretty special because I understood something and believed he was going to go straight to heaven and no longer have to be sick or hurt or have cancer. I remember after his death, my personal prayers for years always included telling Heavenly Father to "tell grandpa hello and that i missed him." I always felt lucky he passed on my birthday and knew he was in heaven and going to watch out for me and be there still. These past 14 years I know he hasn't been too far away and I have felt him close. Before he died, he met with all his kids and grandkids that were around. It reminded me of Lehi before he died telling his kids his last words of wisdom and what was important and what to do. I remember him bearing his testimony to me and telling me he loves me and knows the Church of Jesus Christ is true. He told me to listen to my parents and be obedient and follow the commandments of God and that families can be together forever. My memories of grandpa are few, but very influential. I remember his smile and that he was a math teacher and smart. I remember an oxygen tank that went in his nose and around his ears and his warm hugs. I remember watching Star Trek with him and thinking it was a weird show but "cool" because grandpa watched it. I remember he was a convert and was baptized on his own and loved the temple and family history. I remember visiting his parents, my great grandparents, in Idaho and how nice they were and getting my ears pierced by my great- grandma and candy treats and toys and lots of love. I remember one day taking family pictures in Utah and being told they were important pictures because grandpa was really sick and it was probably going to be the last family photo with everyone together. It wouldn't stop raining though and i remember mom being sad about the rain. I remember we prayed and it stopped and we had just enough time to take some pictures and how special it was that Heavenly Father stopped the rain for us to take those snapshots in time and preserve those special memories together. After he died, Grandpa really was never far away to me. I remember he was at my basketball game cheering me on with my mom and on my mission in New York he felt especially close. In one area I remember he was protecting me and felt him by my side on the dangerous streets helping me and giving me strength as a missionary. I remember at EFY when I was fifteen and opening my scriptures one morning and I turned just passed the title page and saw a note written by my grandma and grandpa sealed with their testimonies and signatures and I remember just staring at my grandpa's name and knowing he knew too and was another whiteness that the Book of Mormon is true. A recent unforgettable memory came two and a half months ago in the Boise, Idaho Temple on May 23rd, 2015. I got sealed to my sweetheart Riley Stevenson for time and all eternity. It was so neat being surrounded in the sealing room by loved ones and family. I know my Grandma Lionel Chadderdon was there too, present in spirit, proud of my accomplishments and happy for me. Although time is moving forward, and there are so many unknowns in the future and challenges ahead I know I'm not alone. Time is flying whether we are having fun or not, but we are on angels wings. In reality, when we leave this mortal existence, this life on earth will be a blink of an eye in this eternal existence and gone as fast as it started. Although the journey may seem hard at times and lonely, we can take comfort in knowing that we are not alone, that a plan has been prepared to return together again as families and we are eternal beings. 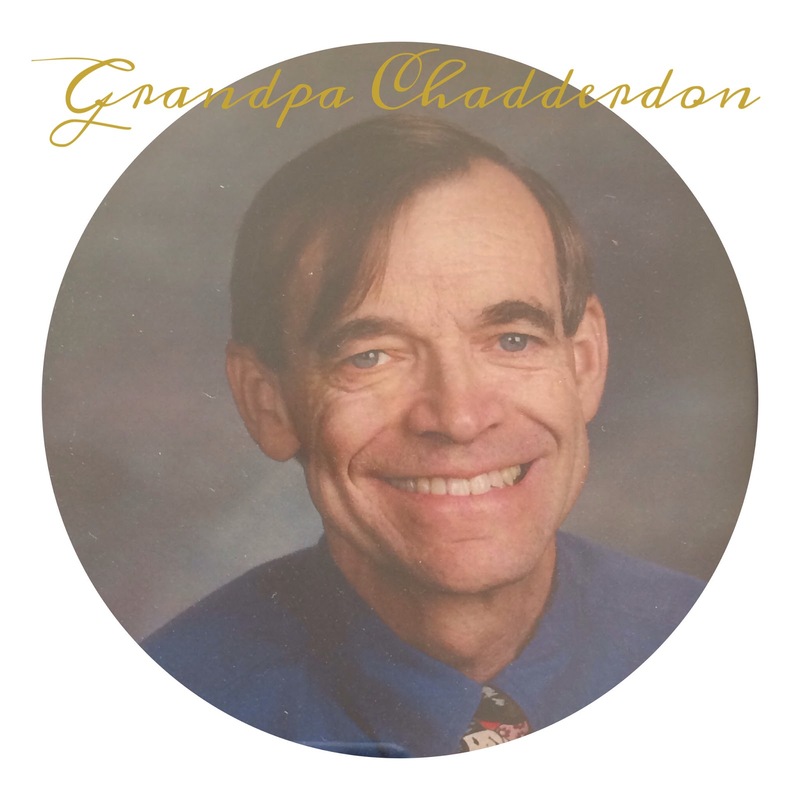 Although Grandpa Chadderdon is gone, his memory and testimony lives on in his children and grandchildren. 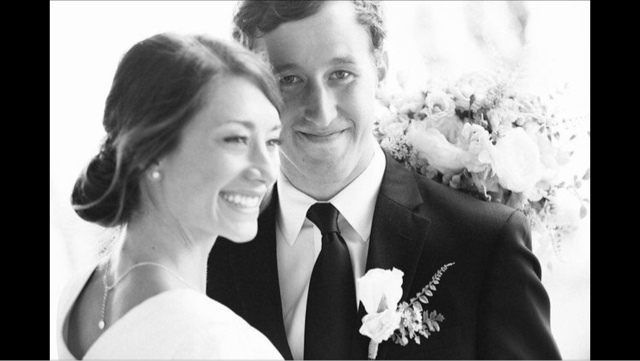 His faith in joining the Church has helped establish a generation of followers of Christ. The joy he had for family and missionary work has been passed on and his love and support is still felt from the other side. I don’t know why, but there is just something about the old and disabled that wins my heart. This is a collection on all my thoughts and feelings. I'm not sure when this love started, but maybe its just always been there. When I was a kid, visiting the old folks homes was never a chore but something I loved. They were so funny and wise and made me laugh. When I got to junior high at West, I signed up and became a candy-striper at Saint Alphonsus in Boise. I loved those years. I would walk across the street and spend many afternoons delivering the patients mail in the hospital and dismissing them when it was time to leave. I had this little stripe outfit that was pretty funny and cute and always had a smile on because there was something so satisfying about being there and making peoples day. When I got to high school, I wanted to do the EMT and CNA nursing assistant programs they offered. I went to night school to get the boring useless classes out of the way and then spend my senior year doing clinicals all over the valley in firetrucks, ambulances, the Veterans home, and other caregiving places in Boise shadowing, meeting, and seeing some of the coolest things and people around. I loved it and thought a career in helping people was something for me. After some pretty bad stomach sicknesses and then my brain injury my love just intensified for those that are in pain, disabled and suffering. I cant quite explain in words the way I feel or love but it’s a good thing and so special helping and loving others. . . maybe because the line between us became closer and i realized that we are not all that different. Everyone in our own way needs love and help and are broken and defective. We all at times are limited, sick, and down. Some are more apparent and long-lasting than others, but regardless everyone feels better when they forget their own problems and love others and are not alone. Man, I'm writing a lot. It feels good. I dont know why this topic and fascination is in my head but I really wanna study the brain more and learn lots about the human body. I've come across some great inspired quotes that make me feel good and a lot better to read than my ramblings probably. 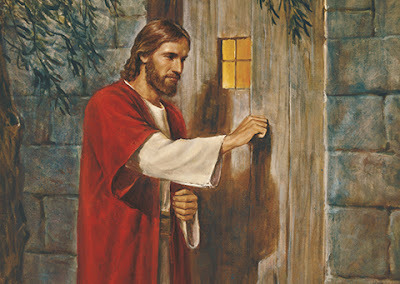 “President Joseph Fielding Smith explained that ‘all spirits while in the pre-existence were perfect in form, having all their faculties and mental powers unimpaired. … Deformities in body and mind are … physical.’ (Answers to Gospel Questions, comp. Joseph Fielding Smith, Jr., 5 vols. Salt Lake City: Deseret Book Co., 1979, 3:19.) Physical means ‘temporal’; temporal means ‘temporary.’ Spirits which are beautiful and innocent may be temporally restrained by physical impediments. The gift of life is so great and having my own limitations and pains has helped me develop patience. It has helped me find faith and accept affliction. It has made me realize that cures and answers don't always come in an instant and when is convenient but will come on the Lord's time. While disability, pain, and suffering is never easy. They can be for our good. The gift of a body is priceless and with it we can obtain a fullness of joy. Right now I have a pretty great job and get to hangout with some of the most pure boys and the funniest grandma in the whole world and get paid monies for it. I feel really blessed, grateful, and inspired by them and have really enjoyed my job so much here in Hawaii. Yes, there are moments of struggle and when my patience is running low but for the most part I don’t feel like I have to “go to work” and just love my life and people who are in it and bless my life. The organization my job is through is called North Shore Mental Health on Oahu. I have two autistic boys I get to hangout with full-time. AND I also get to play with a great old lady with alzheimers that has become a grandma to me… she forgets my name on the daily but is one of my favorite people and someone I have really come to love. Brian, Puuwai (which means heart is Hawaii and is the perfect name for him), and Grandma. They are so great and our bodies are all so great even with our own problems and kinks. Camping has always been something i love to do and a favorite pastime. I'm not sure why i like sleeping on a hard ground getting eaten alive by bugs, but i love it. There is just something about being outside and seeing the stars and feeling that solitude in nature that makes my heart smile. I love my Idaho camping and being in them mountains and with family and friends and good camping food. It has always been a must on my summer to- do-list since i could remember. Ive been craving camping actually this whole summer long. I super super miss the smells of camping and mountains and outdoor and smoke and morning dew. It just happened that a student was leaving the island recently and selling her tent. I bought it in a heartbeat with zero hesitation. It was the best $15 dollar investment of our married life. I set it up in our living room while Riley was working and waiting for him to get home from sales. I put a movie in there too and watched from inside the tent that night. The tent was set up in our apartment for a solid week. It wasn't until this weekend that we busted it out and brought the tent out into the wild. It was so great. We found this little secret spot pretty close to our house with a public bathroom, grills and a nice rope swing. Hawaii camping is pretty dang great too. You get to hear the ocean close by rock you to sleep and be surrounded by green jungle life and the drive is much closer than a mountain top. I also love being in a tent with riley and having him so close and cuddling watching the full moon light up the night. I'm excited to go out again and again in our new little tent. Its been a great weekend. Also, Riley's parents and several of his siblings came to hawaii to go to school this semester. They are all really great people and have spoiled us with Thai food and good times all weekend long. They are still here right now and so the fun hasn't ended yet. I feel really lucky though. . . I hear a lot of horror stories about in-laws but mine are beyond great and treat me good and make me love my husband more. We have done some great snorkeling, body surfing, eatting good food, and turtle bay visits. I'm excited to have his twin brothers and sisters here on the island and make a lot of memories and get closer to them these next semesters.